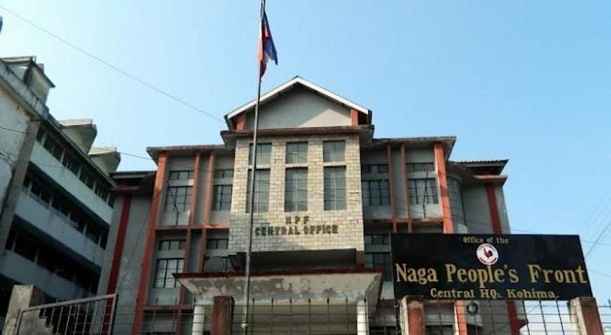 The Naga People’s Front (NPF) on Tuesday asked the NDPP-led PDA government to table the proposed Bill on ILP in the coming Assembly session and pass it if it wished to streamline the ILP regulations and include Dimapur in it. The NPF, in a release issued by its press bureau, accused the government of trying to confuse the Naga people by underscoring that even if the Citizenship (Amendment) Bill, 2016 is passed under any circumstances, they stand protected under ILP and Article 371 (A). The Nagaland Cabinet upheld its decisions on June 5, 2018 and January 7 this year, it said. “The PDA government is of the view that Nagas can take shelter under Article 371 (A) and BEFR, 1873, but these provisions cannot stop a person from obtaining Indian citizenship anywhere in India,” the NPF maintained. The release said the NDPP should come out clean if its Lok Sabha MP Tokheho Yepthomi did not vote in favour of the Citizenship Bill instead of asking NPF to provide proofs. The opposition party sought to point out that immediately after the Cabinet decision taken on June 5, 2018, chief minister Neiphiu Rio, along with his Cabinet team, rushed to Delhi and told union home minister Rajnath Singh that the PDA government had decided not to oppose the Citizenship (Amendment Bill), 2016. Singh reciprocated to them with a “big congratulation”, it added. The NPF said the Cabinet took the decision to oppose the bill only on January 28 along with the concept that the Nagas are safe under Article 371 (A) and BEFR, 1873, after it was passed in the Lok Sabha on January 8. A consultative meeting was held at Chumukedima on January 31 to “regularise the Cabinet decision”, which is “self-contradictory”, the NPF said. At the meeting, the release said, Rio criticised Opposition leader T.R. Zeliang and NPF president Dr Shurhozelie Liezietsu for boycotting it. The NPF added it was for “obvious reasons” that they boycotted the meeting. The Nagaland chief minister at the consultative meeting in presence of all tribal leaders and NGOs also accused the then NPF-DAN government of being silent when the Citizenship (Amendment) Bill, 2016 was tabled in the Lok Sabha in 2016, the release stated. The NPF pointed out that the said Bill was proposed in the Lok Sabha on July 15, 2016 and referred to a Joint Parliamentary Committee (JPC) on August 12, 2016 when present chief minister Rio was the Lok Sabha MP representing Nagaland in the Lok Sabha from May 2014 to February 2018. “In presence of all the public leaders on January 31, did the present chief minister intend to imply that the then NPF-led DAN government under TR Zeliang at that point of time should have protested while the said Bill was still under scrutiny by the JPC?” the NPF asked. The release said Rio himself was the lone Lok Sabha MP belonging to the NPF party at that point of time cannot be denied. “Shifting the blame to the NPF Party today shows his ignorance on what was going on in the Parliament during his tenure,” the NPF said, adding as the MP representing Nagaland, it was his bounden duty to consult the State government and take into confidence the voice of the Naga people as the bill was referred to the JPC which took over a year. “Rio, however, failed to do this as he was hardly in Parliament and was busy master-minding crisis, one after another, to topple the then NPF-led DAN government in the State,” the NPF alleged. It asked the PDA government to respect the intellect of the Nagas and desist from misguiding them any further.